“We need to have our language back as a matter of pride, because if we don’t have our language, we are forever dependent on others, just like a slave, we are nobody. Language and culture makes you somebody.” said Michael Basili, Chair of Gurapau El-molo community organization. The El-molo language is one of the most endangered in the world. 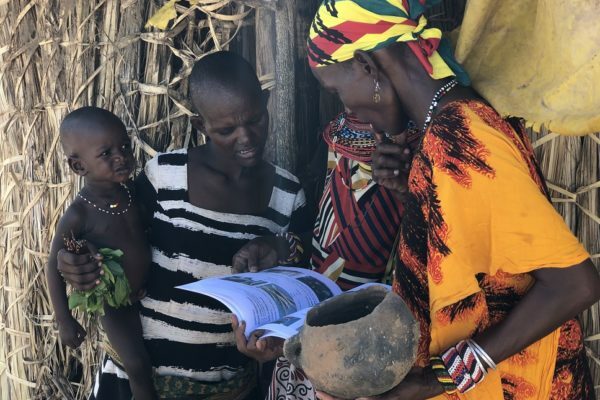 The last fluent speaker died in 1999, but thanks to the efforts of an El-molo community living near Loiyangalani on the shores of Lake Turkana, it is being revived and preserved through a combination of linguistic research, cultural exchanges across the border in Ethiopia, text books and traditional classrooms. Most recently an El-molo video team, trained by InsightShare (UK) are pioneering the use of video dictionaries to support these endeavors. 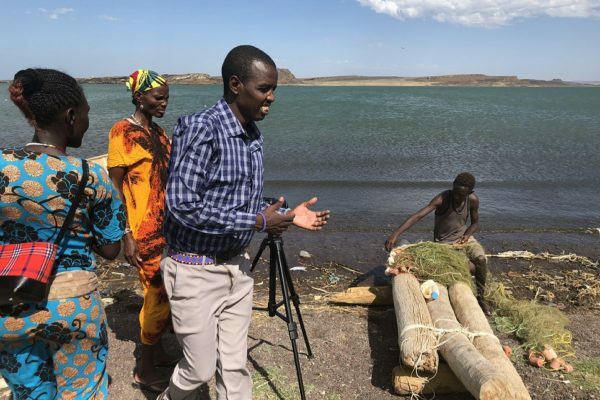 This project showcases the evolution of El-molo’s work in reviving their traditional language, highlighting lessons learned and successes as well as the power of participatory video in language renewal efforts. Even today, Lake Turkana, a sacred lake to northern Kenya’s pastoralists and nomadic fishers, is a remote, windy and desolate outpost, taking 2 days by Landcruiser from Nairobi. A project funded by The Christensen Fund ten years ago helped Gurapau to enlist the help of linguists to create a dictionary, but Michael explained the challenges, “We came to realize that it’s useless to have people from outside to study the language, they don’t love the community, and don’t stay long enough, and they only come because we pay them! This caused tensions in the community since outside experts were being paid and local people were not”. Last year, however, Gurapau, had a breakthrough: the linguists working on the dictionary helped Michael track his lost language to the Arbore people in southern Ethiopia, and with a grant from the Pawanka Fund, they sent a delegation to recover what they could. “The Arbore were very so happy to see us, they knew the history that we separated a long time ago (nearly 200 years). They welcomed us with the killing of a goat and offered us their traditional coffee. It was very emotional! On that particular night it rained a lot, which they saw as a sign that they were finally being reunited with their lost people! We learned many new words, as well finding many common words still used today by both peoples. The Arbore people also sing some of the same songs. They now want to come and visit us so we can learn together. 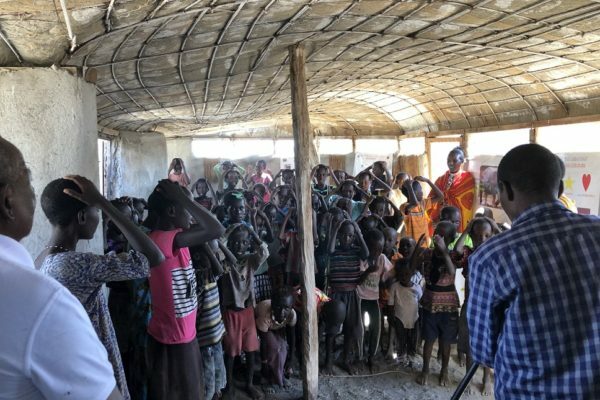 Their language was never written in books and nobody has ever done research on the Arbore language.” Hence, participatory video became a powerful tool to revive and preserve a language based on oral traditions and storytelling, proving to be as important as written tools like dictionaries. 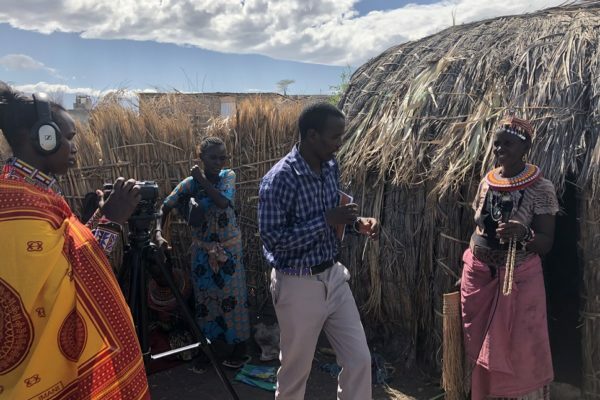 Since working with the El-molo community, with funding support from The Christensen Fund and logistical support from Kivulini Trust, InsightShare has supported 12 community filmmakers. These filmmakers have built digital repositories of their cultural practices and traditional knowledge, providing an oral-visual heritage for their communities. Several involved in the project are becoming trainers so that more indigenous groups across the region can benefit from the tool. Michael points out: “Participatory video has given the community hope because they can see the images. El-molo is a living culture actually, yet when tourists come to take their photos and pay them money, this can be very destructive. We can now record our own images and play them back, this gives us a sense of pride. The video team are not like other groups I’ve seen, they feel free to share their skills with others. They pick women, men, young, and old when they select participants, I am very impressed”. Long term, the vision for participatory technology is to enable indigenous communities across the world to document their own intangible heritage, language, traditional knowledge, and to preserve it for future generations. Participatory video continues to be an important medium to bolster these efforts.